Published: June 5, 2017 at 03:16 p.m.
With the proliferation of graduate transfers in recent years, the college football offseason is busier than ever with players seeking greener grass for their careers to stand on. Many of them, not surprisingly, are quarterbacks looking for more playing time. College Football 24/7's 17 for '17 series continues with a look at 17 transfers who could make the biggest impact at FBS programs this fall, 10 of whom play the quarterback position. 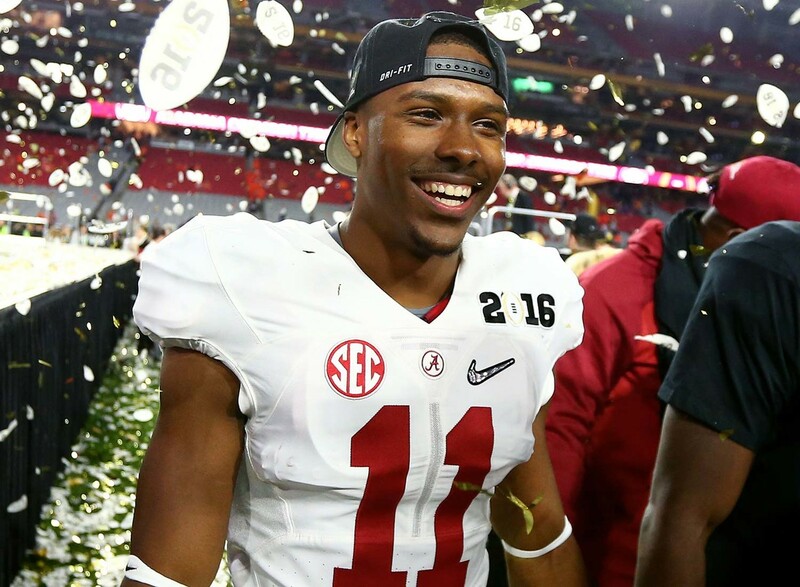 Sheffield originally signed with Alabama in 2015, but after a redshirt season at UA, he was off to Blinn (Texas) College, where Cam Newton once spent a season. Ohio State signed Sheffield from Blinn as the top-rated JuCo cornerback in the country, and after spring drills, coach Urban Meyer has already identified him as the team's third cornerback. He should see plenty of action this fall in an OSU secondary that will be wide open for competition in fall camp. In another case of a transfer landing that reunites player with coach, McCollum made the move to Purdue from Western Kentucky just as new Boilermakers coach Jeff Brohm did. As a graduate transfer, he's immediately eligible. McCollum made 85 tackles for the Hilltoppers last season. He has all the size (6-foot-3, 235 pounds) and more than enough experience to make a clean transition into Big Ten play. Browne's 2017 story could be one of redemption. After waiting three years for the starting quarterback job at USC, it was only his for a few weeks last year. Once Sam Darnold stepped in and led the Trojans to nine straight wins, Browne became a forgotten man. Now he'll look to replace Nathan Peterman at Pitt, and finally start for a complete season, in his last year of eligibility. Barnett didn't show enough last year at Alabama to call him a presumptive success at ASU, but there are some factors here working in his favor. For one, he'll be working with a familiar coach in new Sun Devils offensive coordinator Billy Napier, who was Alabama's receivers coach last year. And it's not as though Barnett doesn't have enough arm strength. He was a five-star recruit for a reason, and puts plenty of zip on the ball. He'll battle Manny Wilkins for the starting nod in fall camp. Sirk reunites with coach Scottie Montgomery in playing his final season at ECU, and if that connection works as well as it did in 2015, the Pirates' offense will be in good hands. Montgomery was Sirk's offensive coordinator at Duke, where he threw for more than 2,600 yards two years ago. An Achilles injury washed out Sirk's 2016 season, while Montgomery took over as head coach at ECU. Montgomery likes to put the ball in the air -- ECU threw 554 passes last year -- so Sirk can expect plenty of action. Few listed here have as much game experience -- 347 pass attempts over three years at LSU -- as Harris. He wasn't able to keep the starting job there, but he enters a wide-open opportunity at UNC with the exit of Mitchell Trubisky to the NFL. He should also be able to put his rushing skills to good use in Larry Fedora's offense. Don't be surprised if Harris plays better in Chapel Hill than he ever did in Baton Rouge. As a former backup at Pitt, James hasn't had much of a chance to make a name for himself. But he has plenty of believers around the Wisconsin practice facility, where he's been preparing for this season for the last year. He had to sit out the 2016 season under NCAA transfer rules, but with Corey Clement and Dare Ogunbowale now gone, the decks are cleared for James to take over in a run-first offense that will provide him with plenty of touches. Lane Kiffin's debut season as the Owls' coach is expected to feature a dynamic talent under center in Johnson, the former FSU quarterback who was dismissed by the Seminoles in 2015 for striking a female student at a bar. Johnson played last season at East Mississippi Community College, where he amassed nearly 3,500 yards in total offense, before signing with FAU in December. He'll have three years of eligibility with the Owls. There is definitely some room for more catches in the OU offense now that Dede Westbrook has departed for the NFL, and Badet will certainly get his share of them as an immediately eligible graduate transfer. He caught 31 passes for 670 yards at Kentucky last year for an impressive average of 21.6 yards per catch, especially given UK's passing struggles. The Longhorns need all the help they can get on the defensive side of the ball, and Johnson is expected to be a big help at the linebacker position alongside All-Big 12 LB Malik Jefferson. New coach Tom Herman signed Johnson from Dodge City Community College as one of the nation's elite JuCo recruits. Although projected as a middle linebacker, he's reputed to be more of a speedy, athletic defender who can defend on the perimeter and excel in coverage. That should play well against Big 12 offenses. After months of speculation, Zaire finally made his move, selecting Florida over the weekend after the SEC changed a rule that allowed the Gators to accept a graduate transfer for 2017. The former Notre Dame quarterback had won the starting job in South Bend to open the 2015 season before a season-ending injury opened the door for DeShone Kizer. He completed 58 of 98 passes for 816 yards, six TDs and no interceptions over three years at ND. His primary competition for the starting nod: Veteran Luke Del Rio (the son of Raiders head coach Jack Del Rio) and redshirt freshman Feleipe Franks. While Greg Ward was leading the Cougars to a 9-4 mark last season, Allen was unavailable under NCAA transfer rules. He came from Texas A&M, where he got extensive experience in both 2014 and 2015, but decided to transfer after a controversial QB competition with Kyler Murray. Now, he's considered the starter for the Cougars under new coach Major Applewhite. We had supposedly seen the last of Tyner when the former Oregon running back retired from football after missing the 2015 season while recovering from shoulder surgery. After two years away from the sport, however, he's resurfaced at Oregon State looking to revive his career. If he recaptures his freshman form, when he rushed for 711 yards and nine touchdowns on only on 115 carries for the Ducks, Oregon State's running game is about to get a major boost. Solomon comes to Baylor as a graduate transfer, so he'll be immediately eligible to compete as new coach Matt Rhule's signal-caller. A knee injury derailed his junior season at Arizona last year, but he was highly effective for the Wildcats as a freshman and sophomore, passing for 48 TDs and only 14 interceptions in that stretch. He'll have to adjust to Rhule's pro-style attack after three years under Rich Rodriguez's fast-paced spread at Arizona. From a draft standpoint, Delaney's transfer is a tremendous opportunity because he's stepping up from an FCS level of competition to the Hurricanes' ACC schedule, something NFL scouts will surely appreciate. He comes from The Citadel, where he led the Southern Conference in interceptions last year with six and was an FCS All-American. He has excellent size (6-foot-1, 194 pounds) and figures to step in at a position of need for UM. A suspension and a transfer cost Grier a season and a half, but his return as leader of the Mountaineers' offense is imminent. He was unbeaten in six games for the Gators in 2015 before a positive test for a performance-enhancing substance sidelined him for the year. His WVU entrance is well-timed as last year's QB, Skyler Howard, has graduated. Since the first day the former Baylor quarterback visited a Tigers practice while deciding on his next school, there has been a buzz at AU about what he could do in Gus Malzahn's offense. He made up his mind officially in December, choosing AU over Florida and Texas A&M, and was on hand for spring drills. As a freshman in 2015, Stidham completed 75 of 109 passes for 1,265 yards, 12 TDs and two INTs for Baylor, most of it over three starts after QB Seth Russell was lost to a season-ending injury. He opted to transfer after the firing of coach Art Briles, and attended classes last fall at McLennan Community College in Waco, Texas, but did not play football.